Beef stew with cherry brown rice | MICHIGAN GROWN. MICHIGAN GREAT. These recipes are courtesy of Katelynn Karkau, Makenna Griffith and Elizabeth Troia. 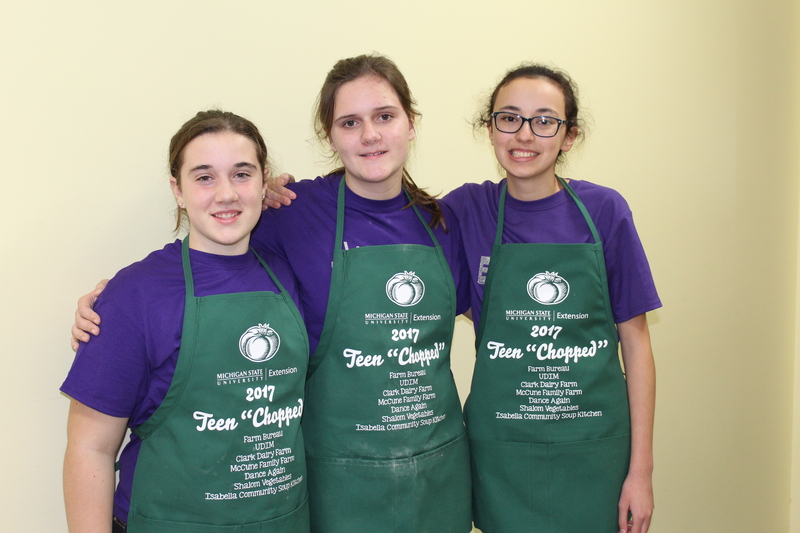 The team prepared the recipes for the Michigan State University Extension/Isabella County Farm Bureau Teen “Chopped” Competition at the Isabella Community Soup Kitchen on November 4, 2017. Trim beef & cut into 1 inch cubes, salt and pepper. Preheat large frying pan with 2-3 TBS oil. Place beef in pan – brown. Place browned meat into pressure cooker. Add remaining ingredients to pressure cooker. Place lid on the pressure cooker & close into the locked position. Heat pressure cooker over high heat and bring to full pressure. Reduce heat to medium/low while maintaining pressure. Cook for 20 minutes. When time is up, let the pressure come down naturally by removing from heat, leaving lid on cooker and allowing the visual pressure indicator to drop. Open pressure cooker – stand back as steam releases. If thickening – place over high heat, bring to a boil. Add corn starch & water mixture, stir. Serve over cherry brown rice. In medium saucepan add water and dried cherries. Bring to a boil. Add rice, onion, salt and pepper. Stir. Boil 5 minutes with cover on pan. Remove from heat, stir. With cover on, let set for 5 minutes. Before serving, stir with fork.